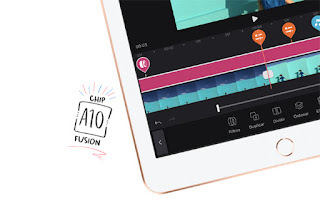 The new iPad (2018) from Apple has an A10 Fusion chip and, as mentioned previously, offers compatibility with the Apple Pencil. It does not have a design as innovative as the iPhone X but it is a low-cost alternative to take into account. As it happened in the case of the iPhone SE , the low-cost tablet of the company of the bitten apple has turned out to be a great movement of marketing strategy . It is a very good acquisition for students as well as for any user who wants to enter the world of tablets for the first time or update their device from previous generations. 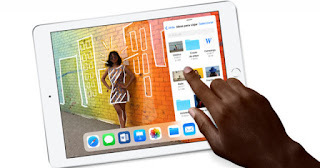 There is nothing about the design of the iPad (2018) that differentiates it from the rest of the models offered by the company currently on the market. 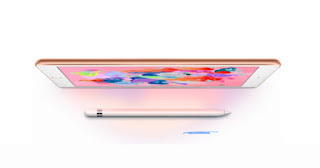 Nor nothing, except the compatibility with Apple Pencil, which qualifies it as an exclusive tablet for school education. Although it is a very difficult tablet to repair , the iPad (2018) has many advantages over other tablets. Starting with its excellent value for money. It has a base price of 349 euros , exactly the same as the low-cost iPad of 2017. It is an iPad at a very reasonable price for consumers and a tablet with a very intuitive and easy-to-use operating system. In addition, it has the perfect size. Its 9.7-inch screen is more than enough to surf the web, take a look at social networks, communicate with friends and family in instant messaging applications, work on projects and much more. The 12.9-inch iPad Pro is almost ostentatious, it's huge. The 10.5-inch is pretty good, although for many it is a bit uncomfortable to hold with one hand. But the 9.7-inch is just perfect. And if to all this we add all the news and features of iOS 11 , the iPad (2018) becomes the perfect tablet . It may not be able to completely replace a MacBook or a PC, but it is ideal for whatever use you want to give it.